I spent last week in Iceland and Denmark but it was a wife trip (i.e. my wife chose the destination, which meant sports were quite limited). 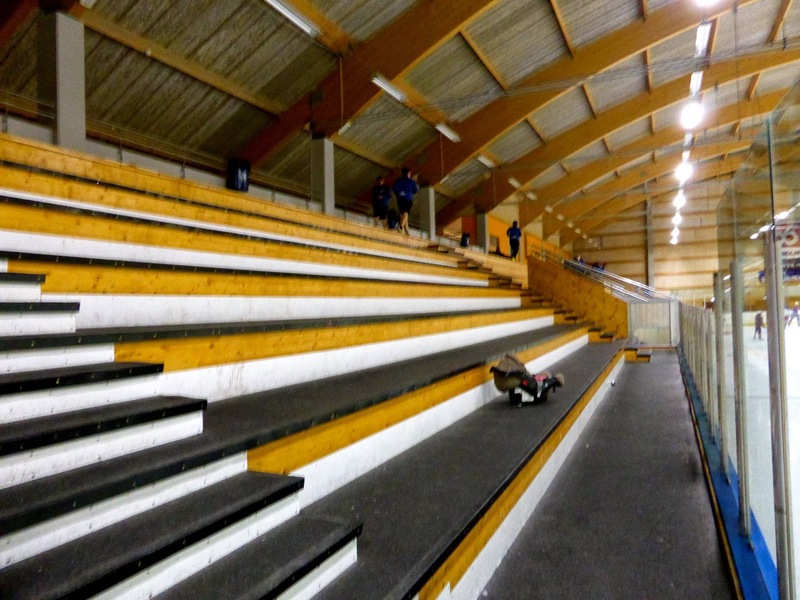 I ended up seeing only one game in the Icelandic Hockey League, a semi-pro circuit with only four teams. Considering that Iceland has a population of just 320,000, four teams is about as good as you can expect. Three of the teams are in the capital, Reykjavik, while the other is about 400 km north in Akureyri. 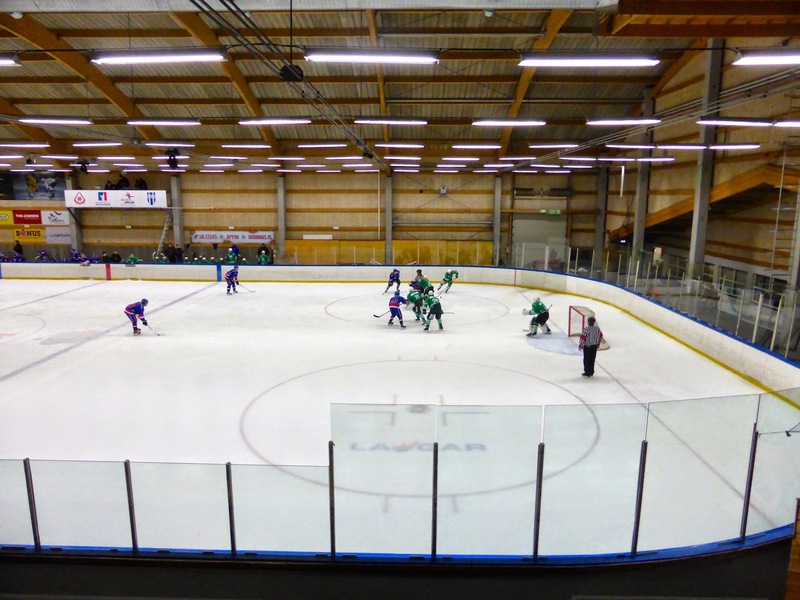 There are only three ice rinks in the entire country, so two of the teams in Reykjavik share one of them. I think. The league website is mostly in Icelandic, a language that is not particularly intuitive. The game I attended featured Skautafélag Reykjavikur (SR) hosting Esja UMFK Reykjavik (Esja) at Skautahöllin Laugardal a few minutes away from downtown Reykjavik. The two teams lay 3rd and 4th in the league (SR is better), but I wasn't going to drive 400 km to see the top two teams play. Anyway, I showed up a few minutes early for what I thought was a 7 p.m. game, only to find the rink filled with parents of little girls finishing up their figure skating lessons. I did see the players warming up in the seating area (in the top below, with the incongruous baby basket) and I eventually stopped one to ask him what time the game started. "It's at 8:00, eh," he said in an accent that matched my own. With an hour to kill and the arena nothing more than a local rink with the typical odour of years of hockey, I returned to the hotel to investigate and found the player to be Kole Bryce of Nepean, who enjoyed 6 games in the OHL over a decade ago and a couple of seasons in leagues I don't even know before disappearing from the hockey radar, only to surface this season in Iceland playing for Esja. That immediately tells you that this league is probably not going to be that competitive. I drove back to the rink for the start of the game and was happy to find that there was no admission charge. There were maybe 100 fans watching the action, which was comedic at times. There were a few other foreigners, including Michael Ward of Esja, the only other Canadian on the circuit. 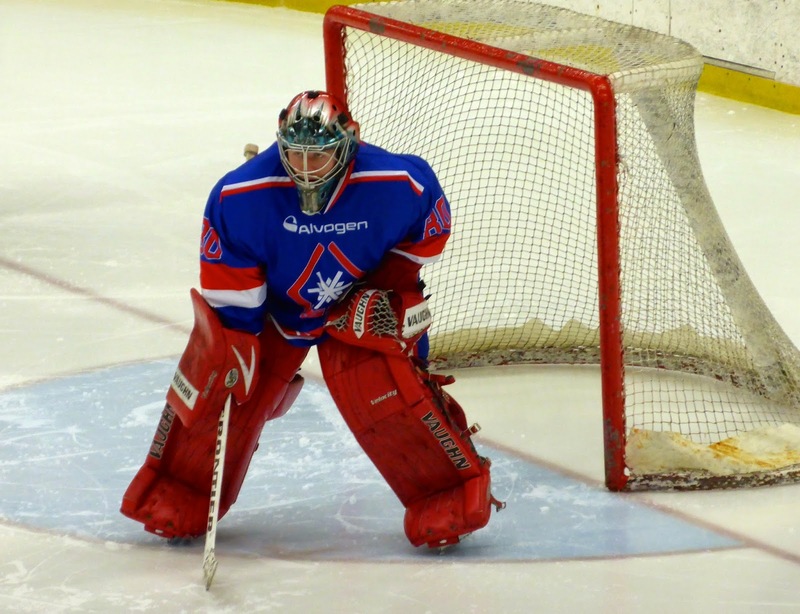 He was drafted by Tampa Bay in the 7th round in 2007 (197th overall, below), just three spots after Carl Gunnarson. SR had a couple of Americans, a Czech, and a Swiss, and naturally they were the better team. 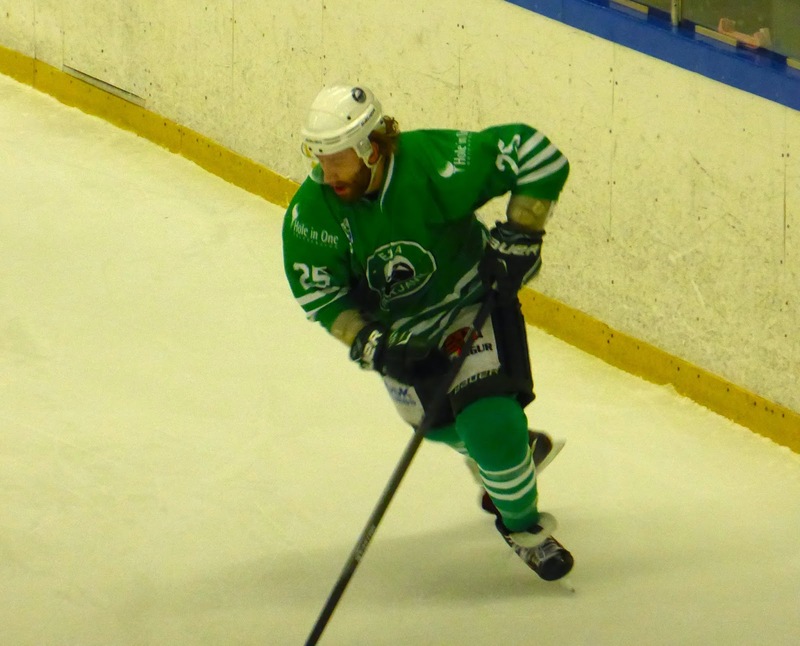 Sam Krakauer of Colorado, who had four seasons in various junior leagues before moving to SR this year, netted the opener on a power play midway through the first. The next 30 minutes were a lot of fun to watch as the players tried really hard but rarely succeeded in their objective, whether that be a pass, shot, or check. 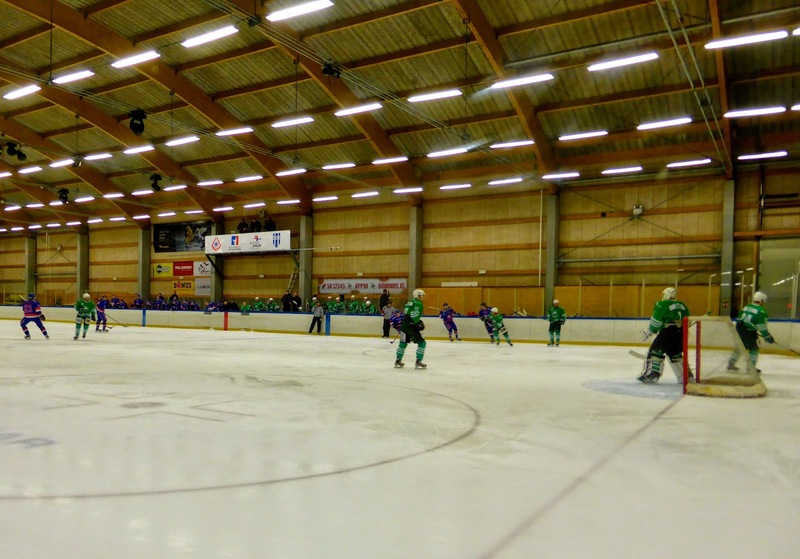 A junior team in Canada could easily beat either of these two clubs. The second period was entirely forgettable except for one Esja chance that bounced off the crossbar, as you can see below. 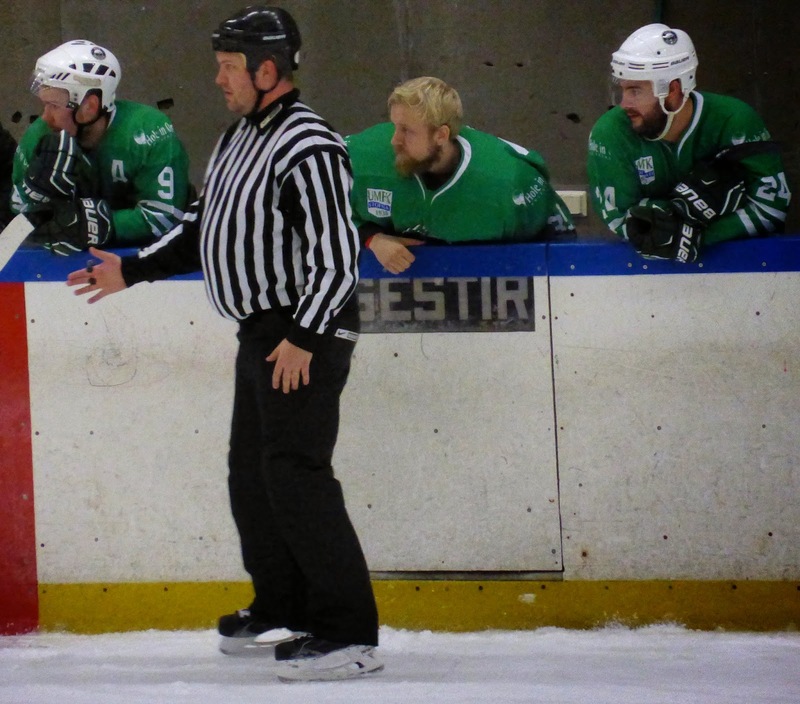 Early in the third, Esja created another chance and made no mistake this time as Hjortur Geir Björnsson beat Aevar Björnsson (below, who may or may not be Hjortur's brother as Björnsson is a common name) with Bryce picking up an assist. With just over a minute left, Miroslav Racansky of the Czech Republic drove in on the Esja goal and bounced one in off himself, giving SR the 2-1 lead as Racansky celebrated like he had won the Stanley Cup. You can actually see the whole game (without sound) on Vimeo with the winning goal scored around the 1h30m mark. Perhaps the most amusing element of the game was a rather portly linesman. They say stripes are slimming. They are wrong. Bryce is on the right of the picture below for those interested. I had planned to see a game in Denmark as well, but after this laugher, decided to do more regular tourism instead.